Experience a seamless journey from start to finish. 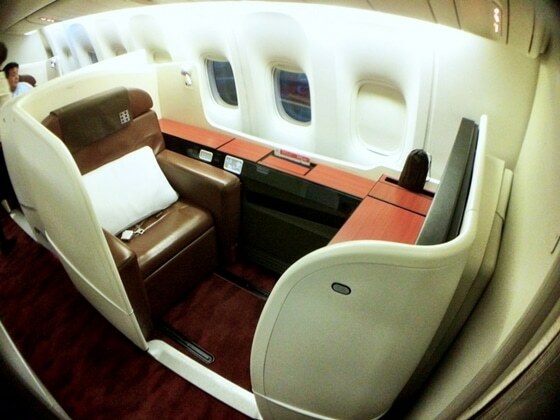 This first class cabin flying lets you experience full luxury. Renew your senses in on-board shower or enjoy in-flight spa? 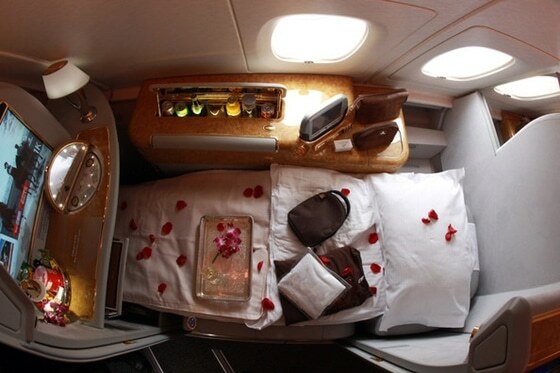 The “Emirates” lets you pamper yourself while you are high in the air. With a personal suite equipped with privacy, mini bars or different food options (from healthy to traditional Arabic cuisine) Emirates have it all. This 16-hour direct connection seems short while you are lying in mattress beds and resting. It’s not hard to fly, when you are flying like a king. 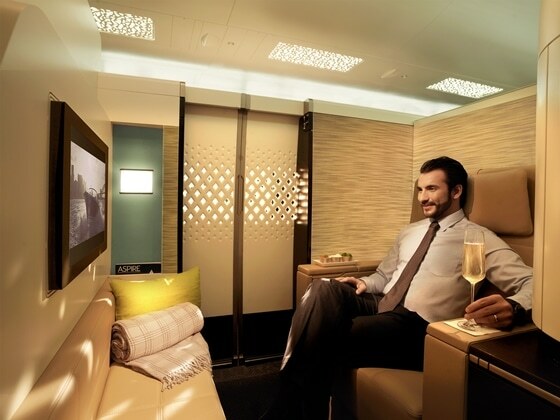 With private suites and 25-inch cinema screens enjoy the long journey to Abu Dhabi. This airline has the best of the best for its wealthy clients from leather furnishing to the first class cabin that comes with concierge service, five star dinner, spa, and 73-inch flat bed. 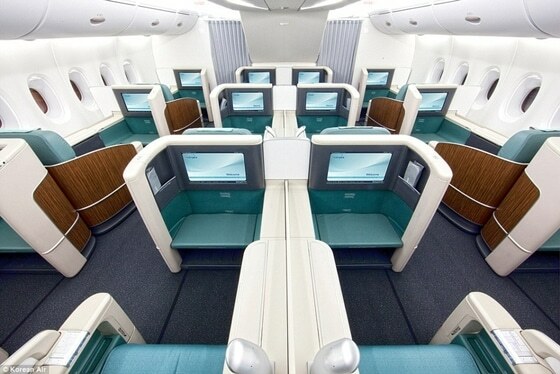 The Korean Air offers a high tech, fancy first class cabin with great food service, from oriental dishes to wines. With its compact seats and built in touch buttons you can easily transform you sitting area in the working space. 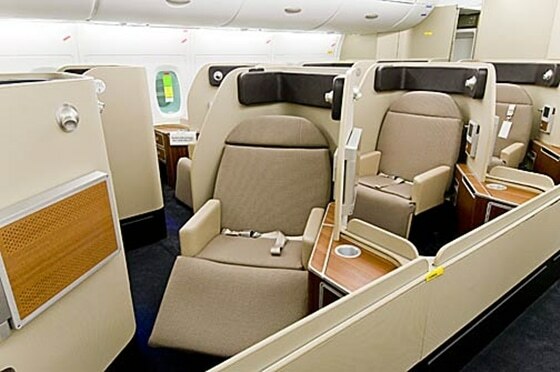 14- Hour connection with first class service, Cathay Pacific offers roomy cabin layout with wide beds and flats screen TVs. Also, all first class travelers can enjoy international wines, caviar breakfast and individual suites with LCD touch screen and noise canceling headphones. 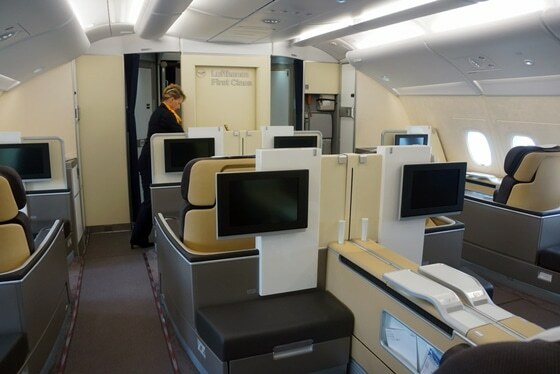 This first class cabin offers culinary selections by Michelin starred chef Dominique Gauthier and other first class benefits. 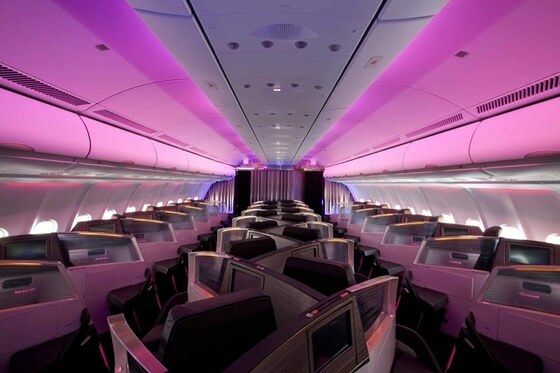 The Virgin Atlantic offers enjoyment in stylish matte block boots with private entertainment, fully reclining seat beds and facility of in-flight business. 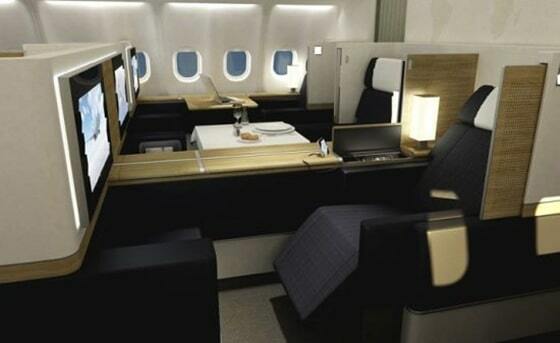 Lufthansa offers his travelers a stand-alone seat and bed setup with in-flight humidifiers, toiletries and Michelin starred culinary offering. This first class cabin with classy wood interior and seat to bed lets you experience bamboo massage and traditional Japanese dishes as well as Western cuisine. Qanats offers six foot bed with massive touch screen entertainment systems in their first class cabins with other luxury treats. 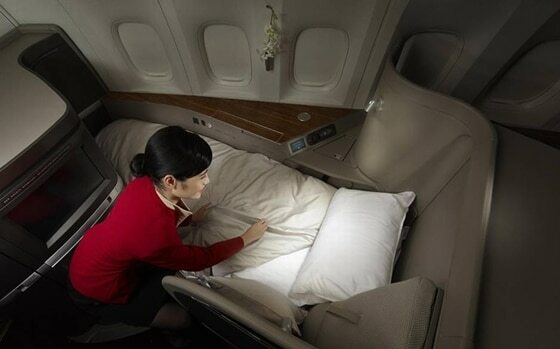 Singapore Airlines provides fancy first class cabin with various luxurious treats for its clients such as amenity kits, five course dinner and luxury double bed. 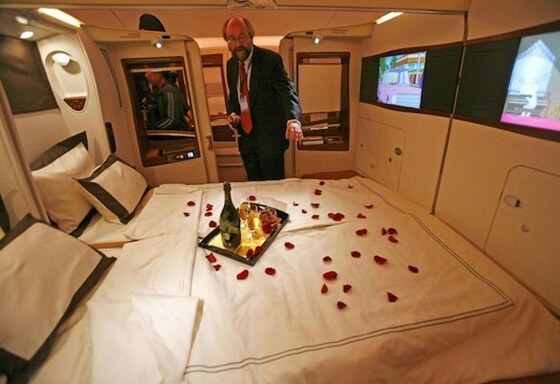 Are these first class cabins worth the splurge? Share in comments.